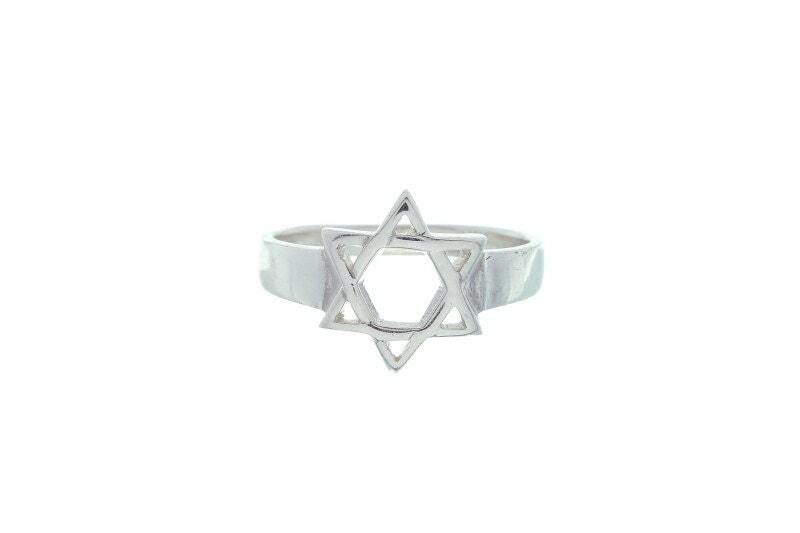 Star of David sterling silver ring. 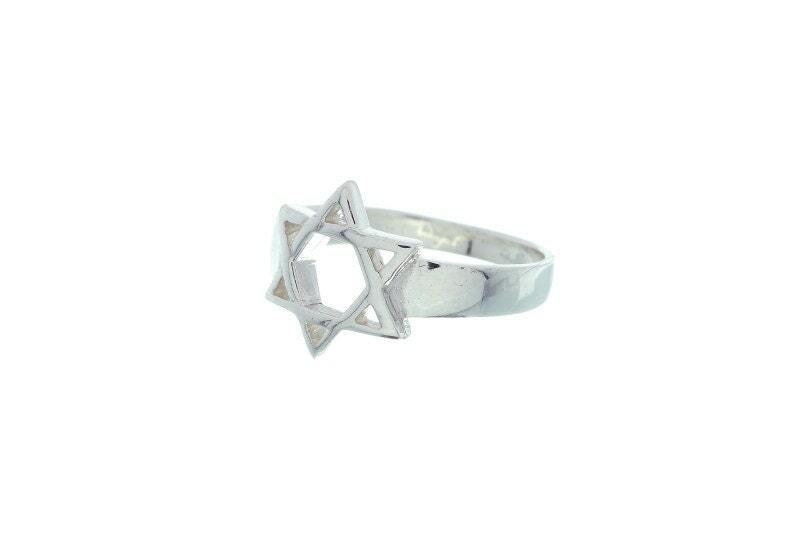 The Star of David is a symbol most commonly associated with the Jewish people. It is said to represent our relationship with God. It is made up of two interlinking triangles, the one facing upward representing God, and the other pointed down representing the people of earth. There are many ideas for the symbolic meaning, wear it for what it means to you. Metal is solid Sterling Silver .925.